Over the past decade, inflation has persistently undershot the Fed's inflation target. The Fed's preferred measure of inflation, the core PCE deflator, has average 1.56 percent over this time compared to a target of 2 percent. The Fed officially begin inflation targeting in 2012, but was implicitly targeting 2 percent long before that time. So below-target inflation has been happening for close to a decade and for many observers it is a mystery. 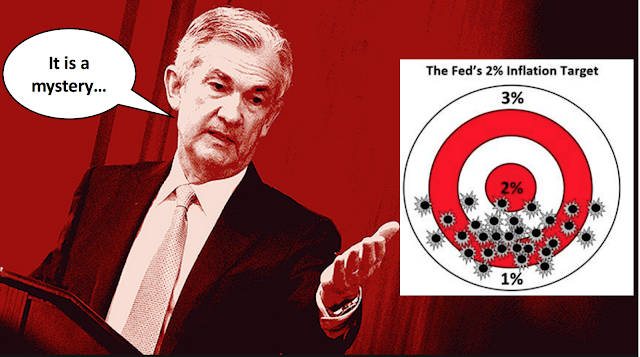 There have been a spate of articles as to why the Fed has not been able to hit its inflation target. Some have wondered if the Fed really understands or even controls the inflation rate. Even Fed officials have been perplexed by the low inflation since it cannot be explained by their Phillips curve models. As a result, they sometimes attribute the persistently low inflation to developments such as falling oil prices, demographics, global competition, changes in labor’s share of income, safe asset shortage, and even the rise of Amazon. These explanations, however, are not satisfactory since the Fed should be able to determine the inflation rate over the medium to long-run. 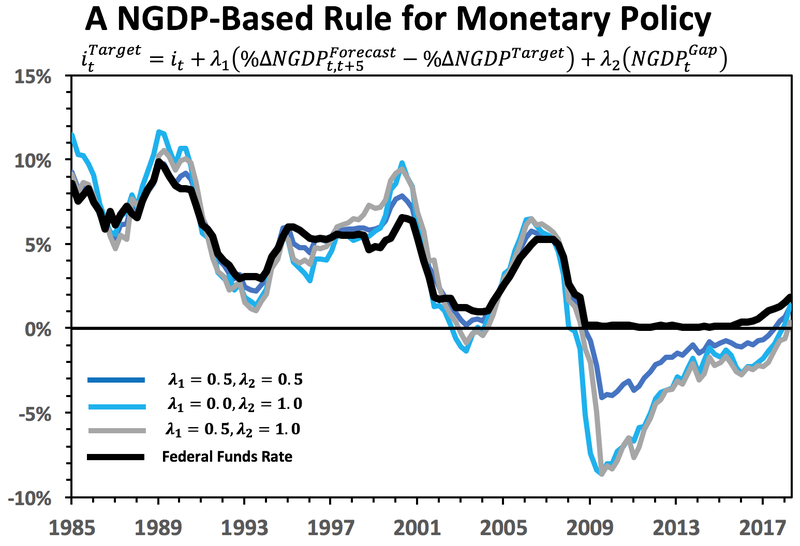 That is, the Fed should be able to respond over time to developments that might cause inflation to drift off target. The Fed should be, in theory, the final arbiter of the trend inflation rate. So why has inflation been so low? In my view, the answer is simple: the Fed is getting the inflation it wants. There is no mystery. One does not get a decade of trend inflation that is below target by accident. Instead, revealed preferences tell us inflation is where it is because the FOMC allowed it to be there. Put differently, the Fed has chosen not to fully offset the shocks and secular forces listed above that have pushed inflation down. This is a policy choice. 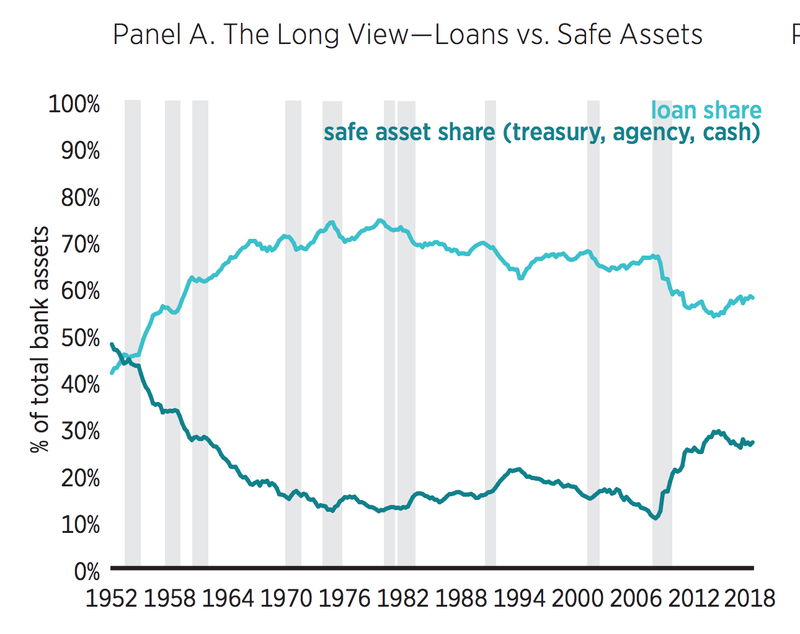 Fed officials and others may disagree, but the revealed preference argument is hard to ignore. Moreover, there are other reason to believe that the low inflation is, in fact, the desired outcome of the FOMC. They are presented below. Each participant’s projections are based on his or her assessment of appropriate monetary policy. The SEP, in other words, reveals FOMC members forecasts of economic variables conditional on the Fed doing monetary policy right. And up until recently, doing monetary policy right was not overshooting 2 percent inflation in the following year, as seen in the figure below. Even now, 2 is still seen largely as a ceiling. 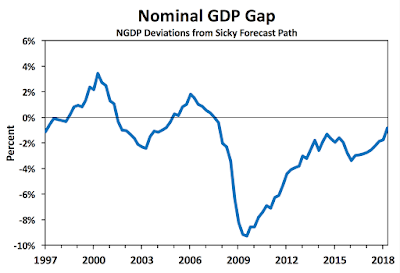 There is nothing symmetric about 2 percent in these SEP forecasts. Most FOMC members, therefore, have treated 2 percent as a ceiling over the past decade. This is "appropriate" monetary policy for them. Keep in mind, that at this forecast horizon most of them also believe they have meaningful influence on inflation. Both of these observations point to the low inflation as a choice. We directly estimate the Federal Open Market Committee’s (FOMC) loss function, including the implicit inflation target, from the tone of the language used in FOMC transcripts, minutes, and members’ speeches. 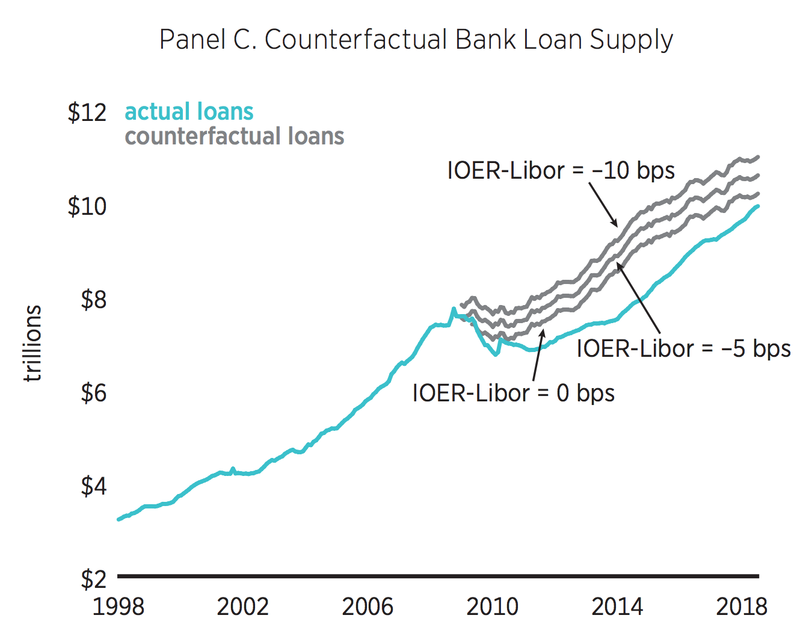 Direct estimation is advantageous because it requires no knowledge of the underlying macroeconomic structure nor observation of central bank actions. We find that the FOMC had an implicit inflation target of approximately 1.5 percent on average over our baseline 2000 - 2013 sample period. Fed officials, via their words, actually want 1.5 inflation on average. And shocker of all shockers, they are very close to getting that just that rate of inflation since 2009. 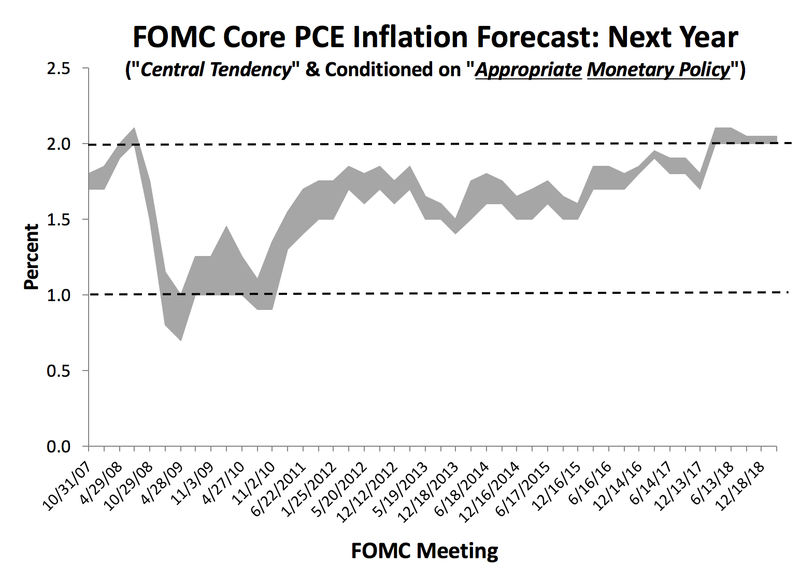 The third reason to believe low inflation is a desired outcome comes from imagining a counterfactual FOMC. 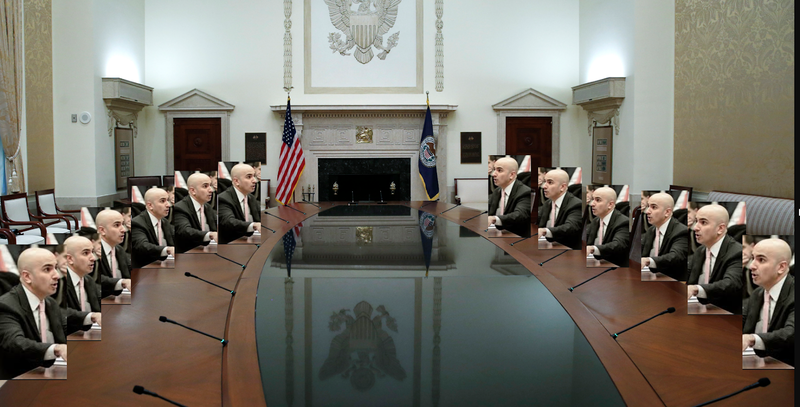 Imagine a FOMC that has twelve members that are all clones of Neel Kashkari, as seen below. In this FOMC, where interest rates were not raised over the past few years--and maybe even lowered--do we really think inflation would be the same? I find that hard to believe. To be clear, I do think there are important secular forces pushing down trend inflation, like the demand for safe assets. But again, the Fed should be able to offset such pressures if it chose to do so. The real question, then, is why the Fed has settled for trend inflation near 1.5 percent. That is a question for a different post. This post is simply a retort to all those who think the low inflation is a mystery. Folks, it is not a mystery. It is a choice. It is worth nothing that this choice is actually more than a choice for trend inflation. 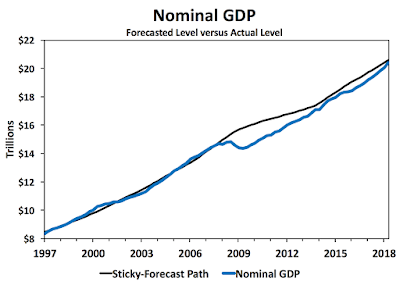 It is implicitly a choice for lower trend aggregate demand (AD) growth. As seen below, aggregate demand growth was averaging 5.6 percent in the decades before the crisis. Since the recovery started, it has averaged about 3.6 percent. That is a 2 percentage point decline in the trend. 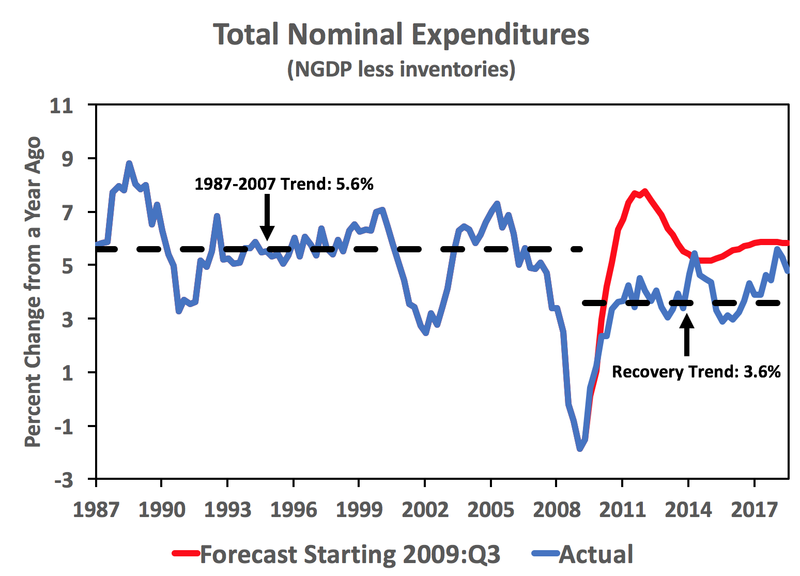 The red line in the figure shows what a naive autoregressive forecast would have predicted over the past decade conditional on past nominal expenditure history. There has been a sizable AD shortfall. In my view, it is this dearth of aggregate demand growth rather than the low inflation that is a problem. The slowdown in AD growth has arguably contributed to problems like hysteresis and populism. If so, this policy choice has been costly. P.S. Adam Ozimek gives us estimates of how costly this AD shortfall has been. The FOMC voted this week not to raise its target interest rate and signaled no additional hikes are planned for this year conditional on the outlook. This is a big change from last fall when the FOMC was talking up multiple rate hikes and dismissing concerns about the flattening yield curve. This 11th-hour conversion to a more dovish stance is a remarkable turnaround, one that some observers like Tim Duy are calling a "major break". The change is being attributed to growth concerns and a weakening of financial markets. 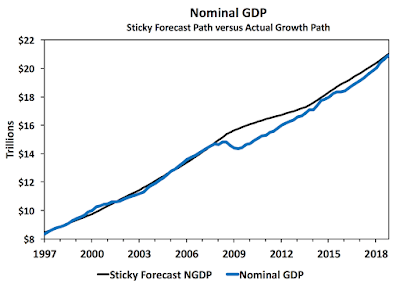 I do not want to go through all the indicators supporting the Fed's worries, but I do want to see whether Nominal GDP (NGDP) lends support to this decision. 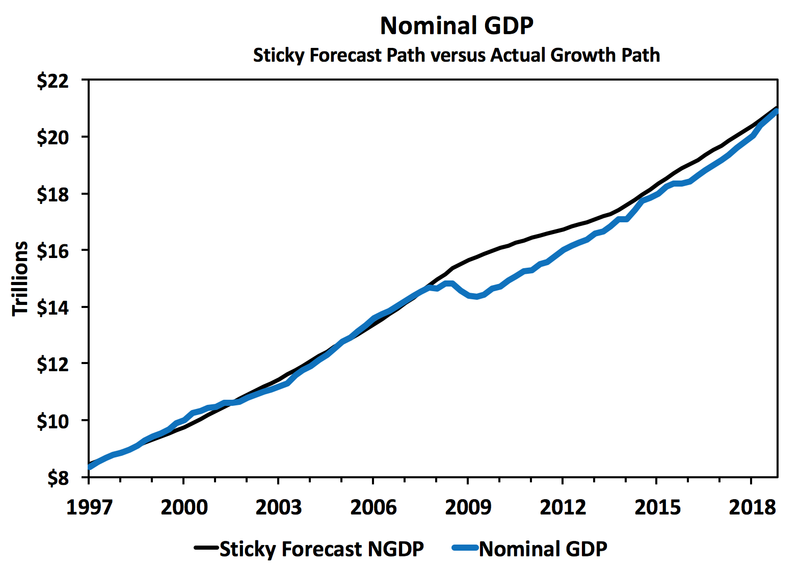 As many readers of this blog know, I believe that properly evaluated NGDP growth is probably the best indicator of the stance of monetary policy. Okay, so what does it say? Given the public's expectations of nominal income, the sticky-forecast path of NGDP can be viewed as the neutral level of NGDP. Unlike the unobservable u*, r*, and y*, this neutral measure is simply a weighted quarterly forecast of nominal income found in the Survey of Professional Forecasters. There is no need for guesswork. The details of its construction are in the note, but it is worth mentioning that the NGDP gap created by this measure is remarkably similar to many measures of slack. I should also note that I constructed this measure using the IMF NGDP forecasts for 21 countries in a forthcoming paper (working paper version) and find it works well cross country too. This NGDP gap shows a standard story: aggregate demand growth overheated some in the late 1990s and to a lesser extent in the early-to-mid 2000s followed by a sharp collapse in 2008. A slow recovery followed that stalled around 2015-2016 and then started rising again. 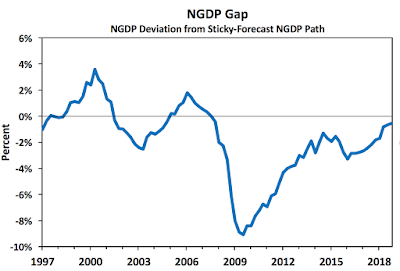 Currently, the NGDP gap is slightly below the neutral level of zero percent. 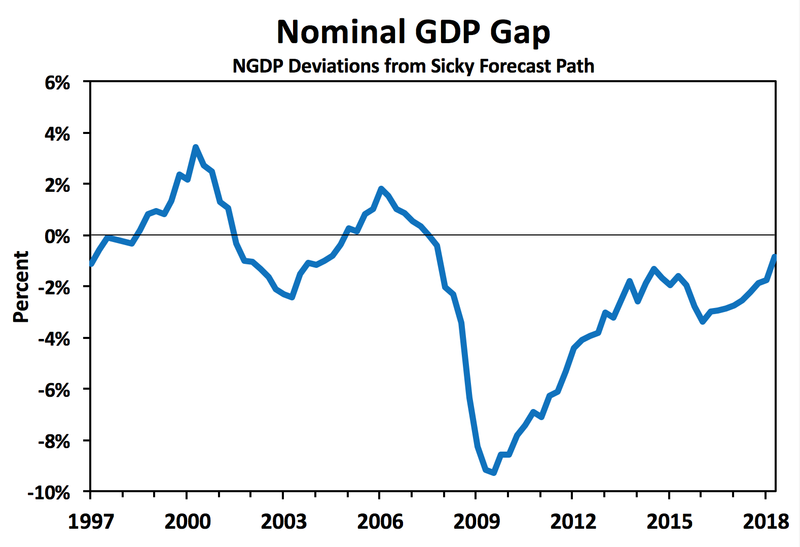 This graph suggest it was appropriate for the Fed to pause on rate hikes this week. It also indicates, however, that the Fed arguably should not have started raising rates in 2015. Again, we see that if anything, the prescribed target interest rate is a little below the actual one suggesting the Fed's pause is appropriate. So overall, a smart move by the Fed and arguably one that is overdue. Finally, I want to share one more application of the NGDP Gap that I have made before. 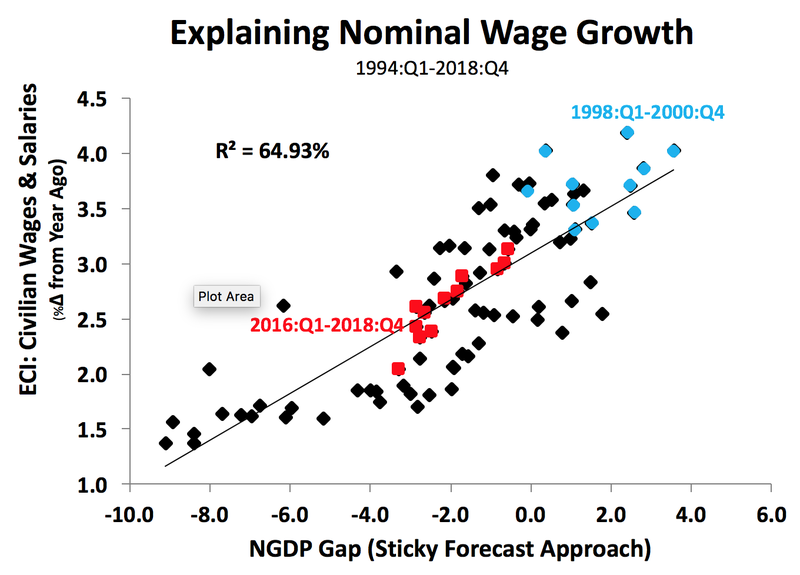 The NGDP Gap does a decent job explaining nominal wage growth as seen in the figure below. The red dots show the portion of the scatterplot attributed to past few years. While the R2 is 65 percent for the overall sample, the sample since 2016 has an R2 of 85 percent. 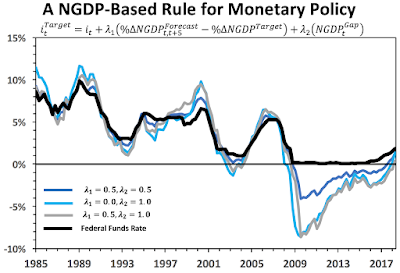 Here is hoping the Fed starts paying more attention to NGDP as a cross check for assessing the stance of monetary policy. The FOMC likes the floor system since it separates the size of the Fed's balance sheet from the setting of its target interest rate. This added flexibility is possible because the reserve supply schedule is on the horizontal part of the reserve demand curve as seen above. 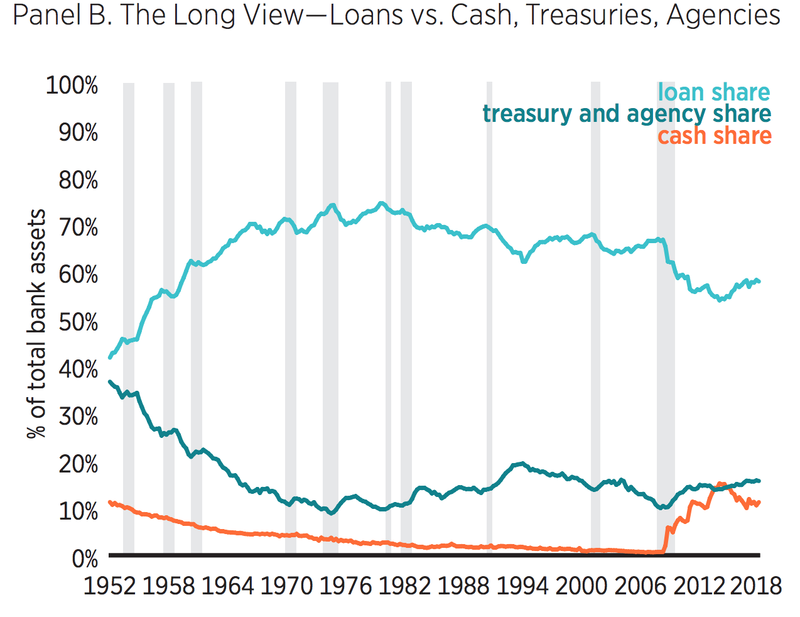 Here, banks will take all the reserves sent their way--killing off interbank lending--as their demand for reserves is perfectly elastic. The corridor system puts the reserve schedule back on the downward slopping part of the reserve demand curve. 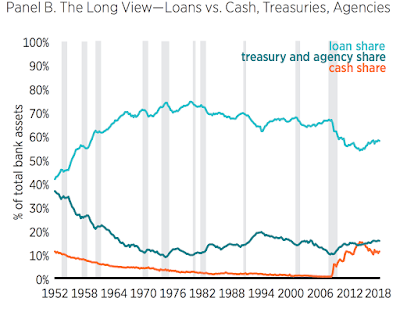 That creates an opportunity costs for reserves and resurrects interbank lending. Recall that the floor system is a byproduct of the crisis. It was part of the unconventional monetary policy actions taken during that time. Consequently, the Fed is now discussing how to normalize its operating system. 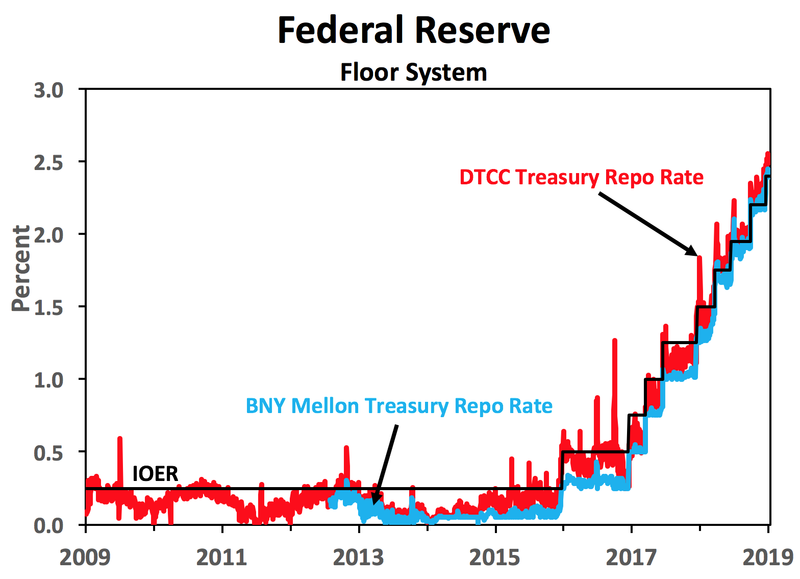 As I have argued in a recent paper and in various blog posts, I prefer the Fed leave the floor system and move to a symmetric corridor system. In my view, the political and economic costs exceed any benefits of a floor system. 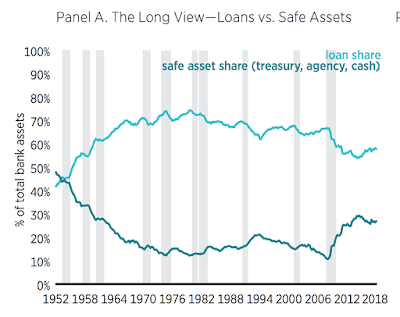 Reducing reserves close to the lowest level that still corresponded to the flat portion of the reserve demand curve would be one approach consistent with the Committee's previously stated intention, in the Policy Normalization Principles and Plans that it issued in 2014, to "hold no more securities than necessary to implement monetary policy efficiently and effectively." 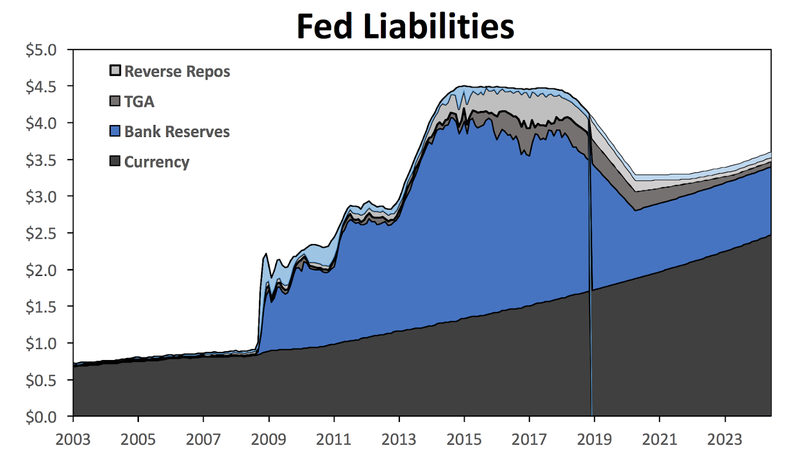 However, reducing reserves to a point very close to the level at which the reserve demand curve begins to slope upward could lead to a significant increase in the volatility in short-term interest rates and require frequent sizable open market operations or new ceiling facilities to maintain effective interest rate control. These considerations suggested that it might be appropriate to instead provide a buffer of reserves sufficient to ensure that the Federal Reserve operates consistently on the flat portion of the reserve demand curve. Well, if there were any doubts as to where the FOMC is leaning in this debate over operating systems this paragraph should put the doubts to rest. FOMC members apparently love their flat reserve demand curves. So much so, they cannot handle the imagined horrors of interest rate volatility under a corridor system. Yes, the horrors of interest rate volatility in a corridor system. I mean, how can central banks like the Bank of Canada (BoC) impose such a cruel system on their financial system? 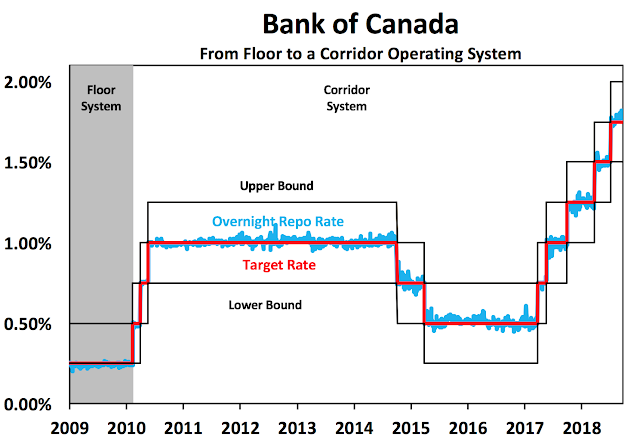 How dare the BoC leave the peaceful sanctuary of a floor system and move to the interest rate jungle of a corridor system! Just look at the all the interest rate volatility they are imposing on the Canadian financial system. Oh wait, the BoC corridor system actually looks okay. 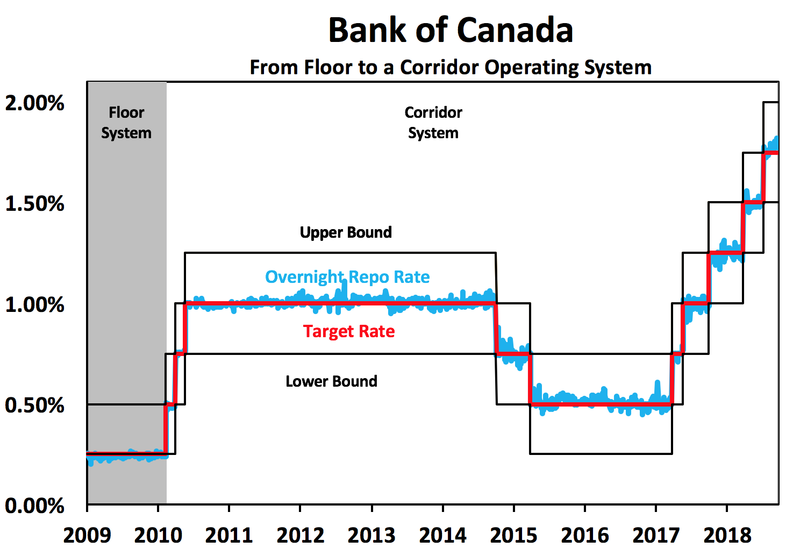 Yes, there is some interest rate volatility for the overnight repo rate relative to the BoC's interest rate target, but the repo rate stays well within the corridor bounds. Maybe the FOMC means interest rate volatility in a corridor system compared to a floor system, like the one it runs. After all, the FOMC is a true believer in its own operating system. 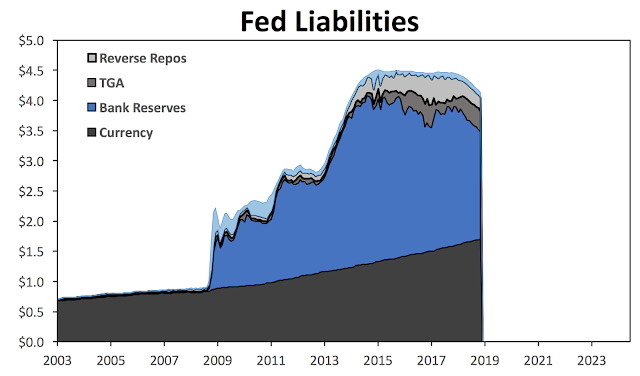 The FOMC did say in the minutes that the "efficient and effective implementation of monetary policy" most likely requires providing "a buffer of reserves sufficient to ensure that the Federal Reserve operates consistently on the flat portion of the reserve demand curve." With such confidence in their own floor system, it must be that the FOMC members are indeed thinking of the interest rate stability in their system. Right? Oops, maybe not. Overnight U.S. repo rates do not look so stable compared to Canada. 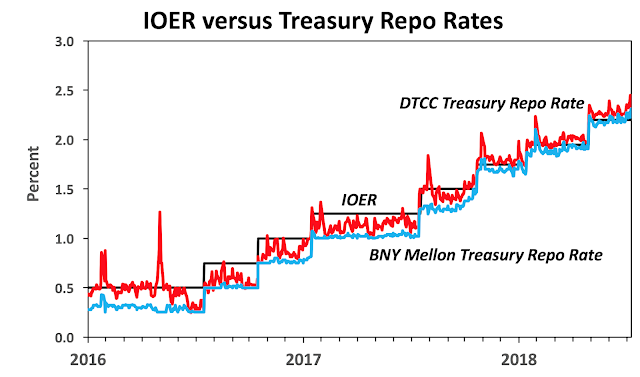 Maybe the scales of the above figure overstate the volatility of repo rates in the United States? 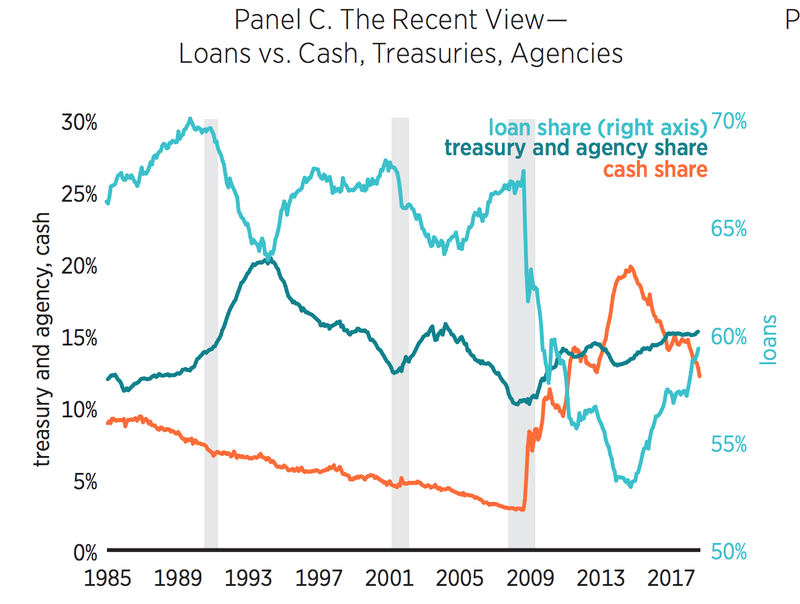 How about comparing the actual spread between the overnight repo rate and target rate for the two countries and their different operating systems? Okay, maybe the corridor system is not so bad. 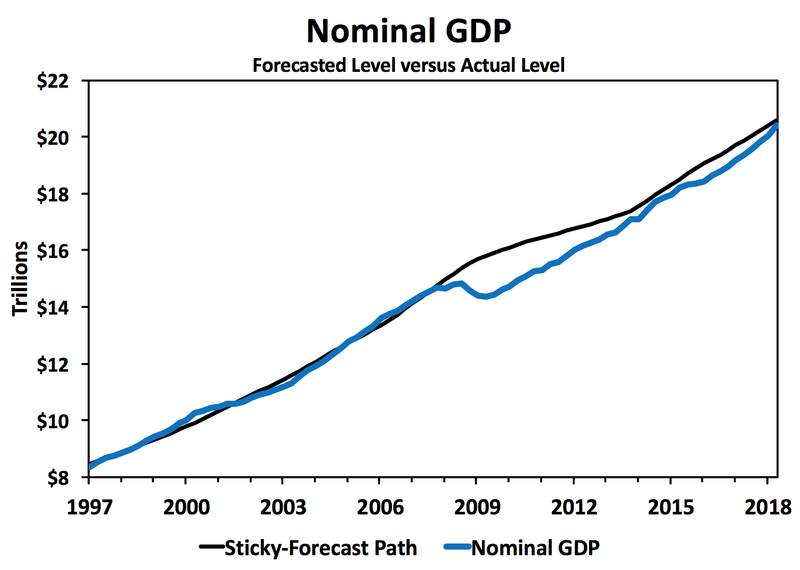 Maybe the FOMC is thinking of a return to an asymmetric corridor system like the one that existed pre-2008. 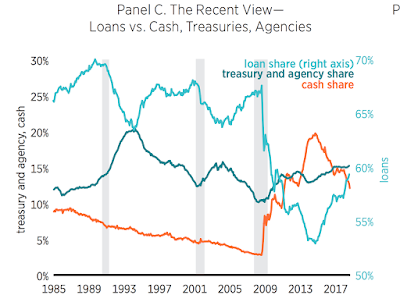 There might be more interest rate volatility in returning to that system, but most advocates of a move to corridor system--like George Selgin, Stephen Williamson, Bill Nelson, Peter Ireland, and myself--are not advocating such a move. Instead, we want a move to symmetric corridor system where the IOER pins down the lower bound and the discount rate anchors the upper bound. Such a system can easily collapse into a floor system during a crisis, so the Fed could still have its desired flexibility if needed in a bind. Moreover, many other countries use some form of a symmetric corridor system. George Kahn of the Kansas City Fed has a great review of these experiences and the workings of these operating systems. I am glad the FOMC is debating the future of its operating system. My hope is that Fed does not get blinded by its own experience with an asymmetric corridor system and instead looks elsewhere in the world for understanding how a symmetric corridor system can work.